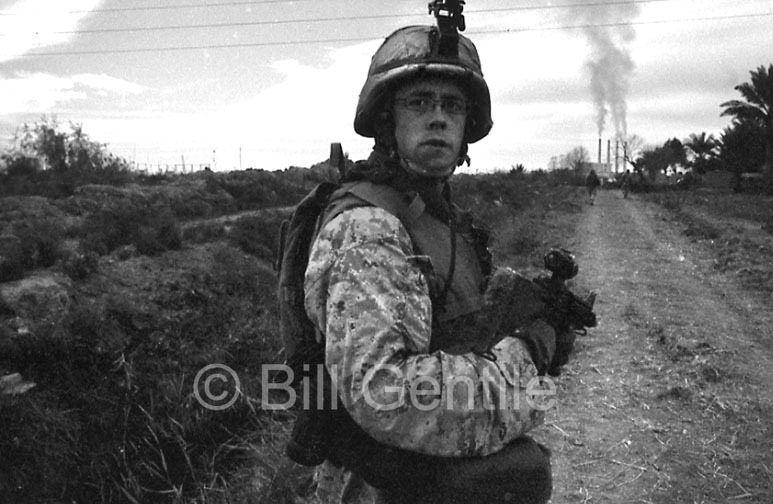 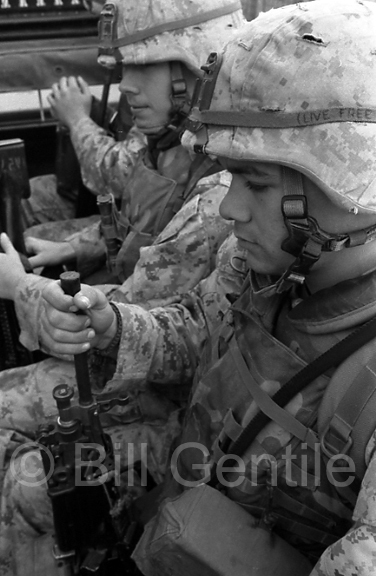 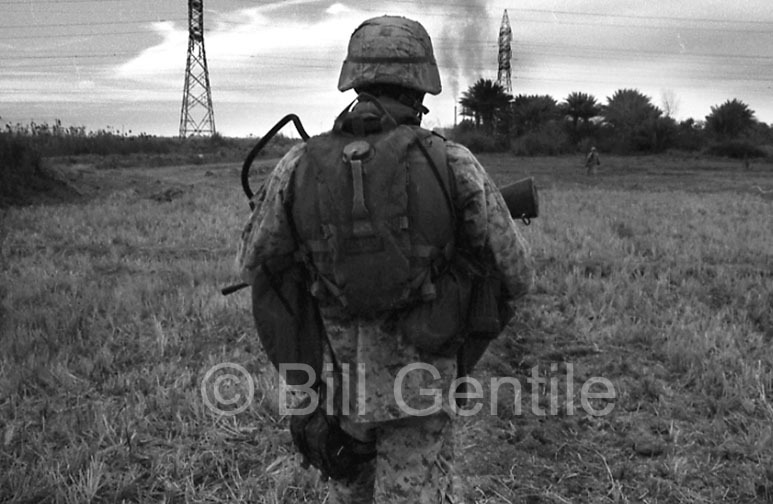 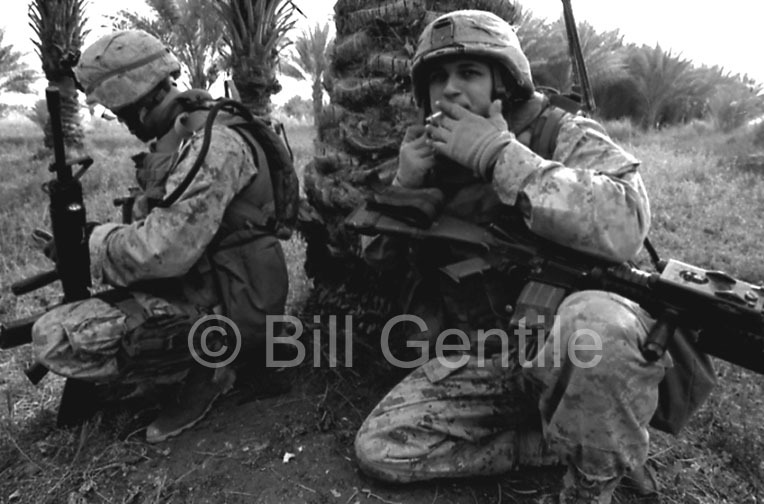 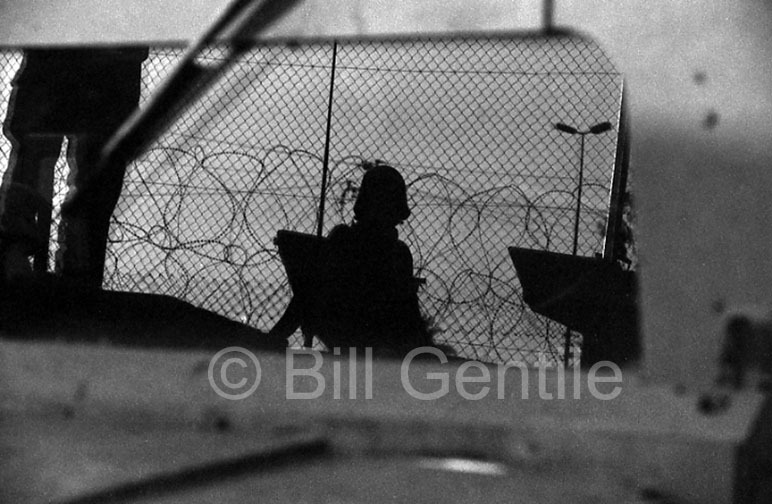 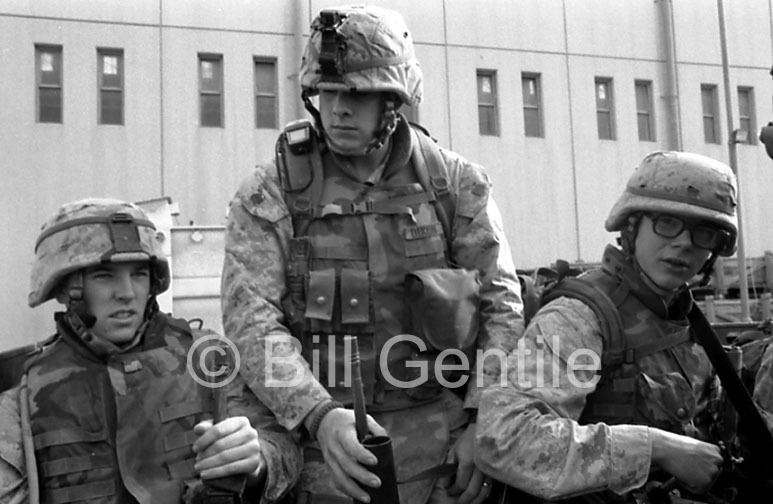 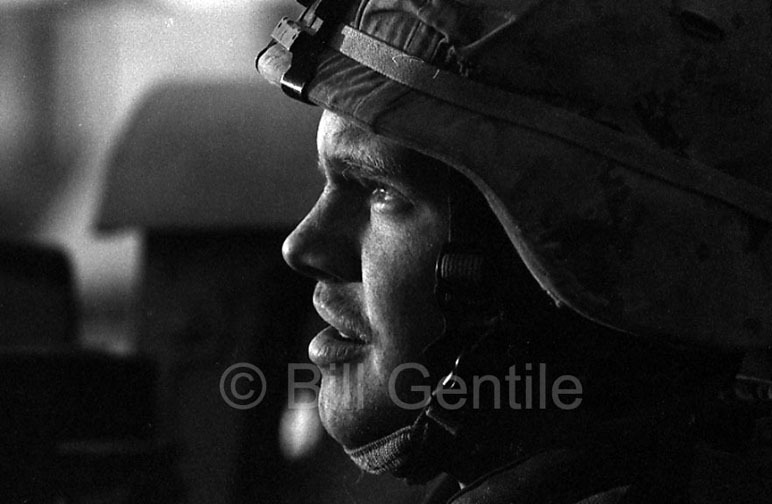 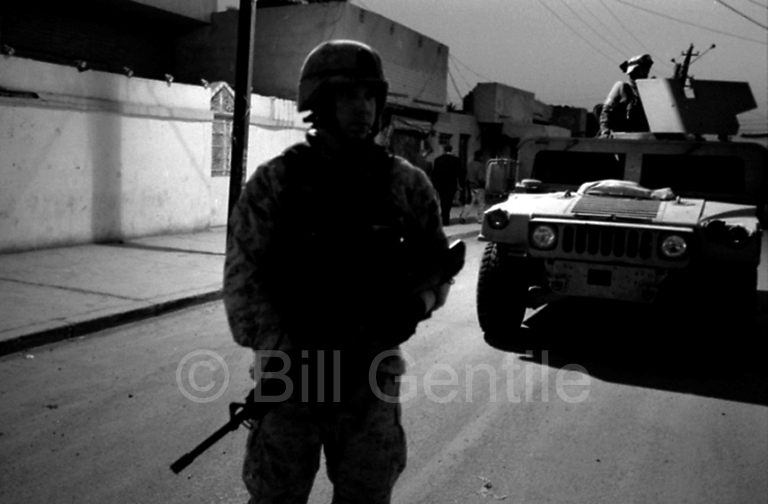 By 2005 an independent documentary producer and filmmaker, Bill Gentile traveled to Iraq to shoot a film on a single platoon of the 24th Marine Expeditionary Unit (MEU), then based at Iskandariyah, about 35 miles south of Baghdad. 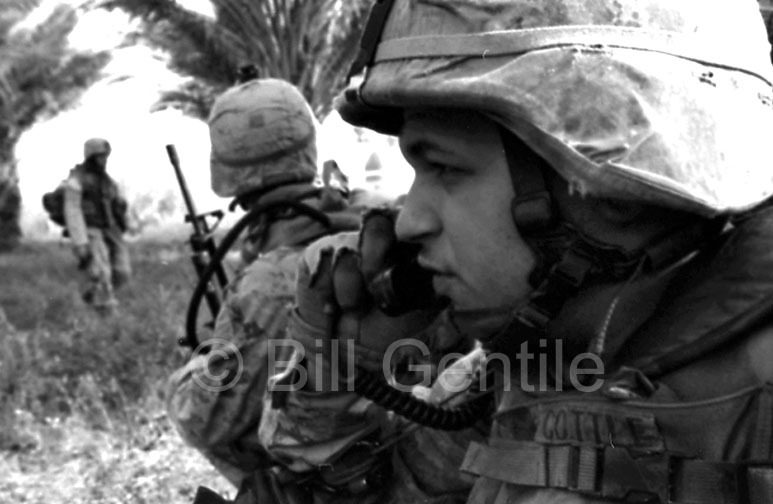 The trip resulted in a story on the PBS program “NOW With David Brancaccio.” Gentile also produced a 30-minute documentary, “Nothing for Granted: A Marine’s Journey,” about one man’s odyssey from his hometown in Maine, to Iraq and then back home again. 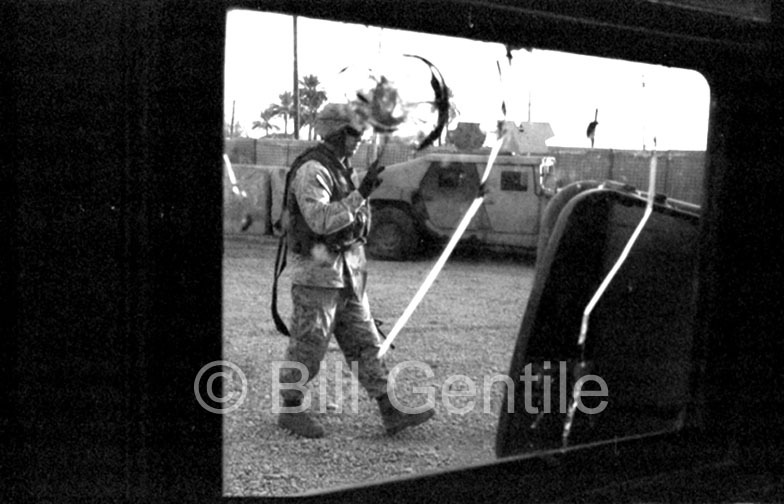 Following are some of the still images he made during his trip.